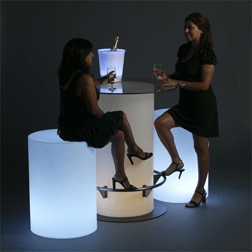 LED lighted furniture for rent in the Atlanta Georgia area. A-1 Rentals is the place for all your wedding and party rental needs in the Atlanta Georgia area. One stop rental shop for tents, tables, chairs, linens, staging, china, and restroom rentals. 770-458-7740. Do you want to add a Touch Of Class to your event? 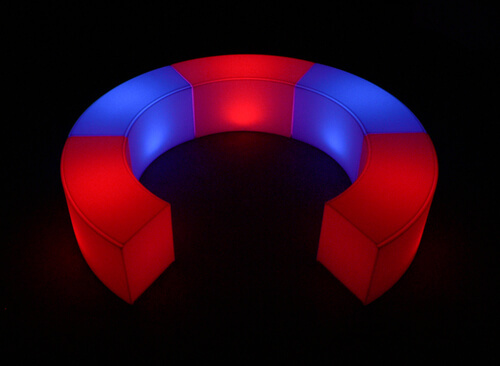 Every event would be better with LED furniture! Weddings, graduations, corporate events, holiday parties and more. Add that "wow factor" to your next event. 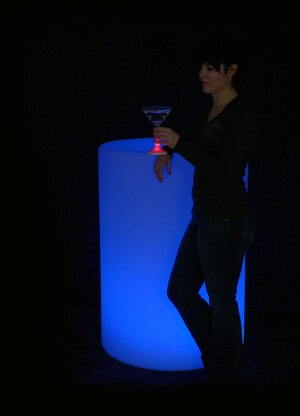 The LED furniture is acrylic- no linens needed. It has a clean modern look. 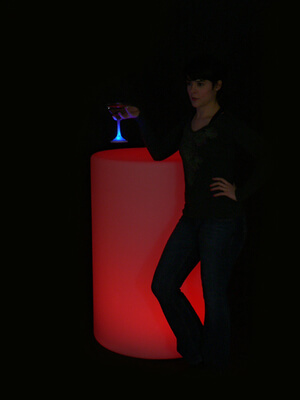 Our LED furniture rentals include the battery- remote controlled LED light system. The batteries last from 8-20 hours depending on what color is used. 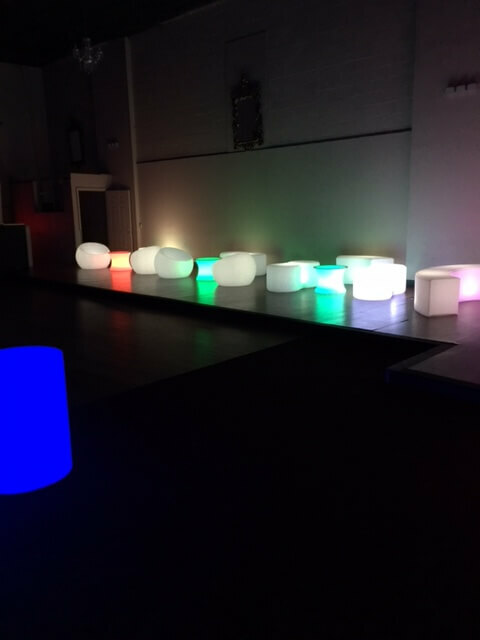 All of our LED/lighted rental furniture is wireless and controlled remotely which allows you to change the settings with a touch of a button. No unsightly power cables to navigate around. 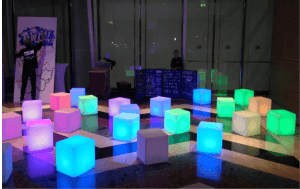 There are 20 pre-programmed colors and you can create your own color. There is even flash and fade modes. No need to rent colored linens at your next event. Rent L.E.D. 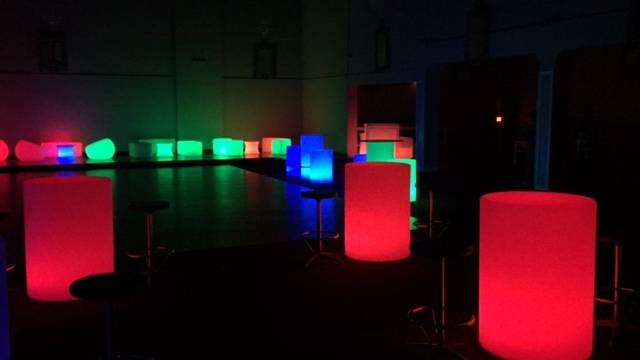 Furniture and you can change the colors as needed before or during your event. 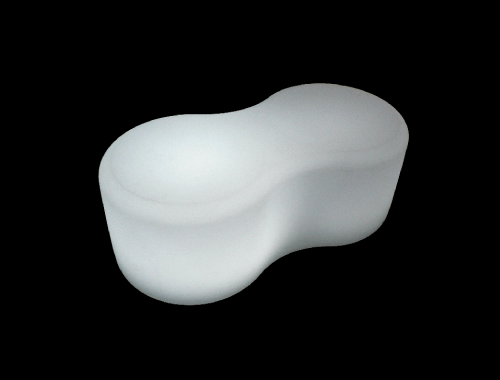 Special effects include strobe and programmed scenes which fade between colors. 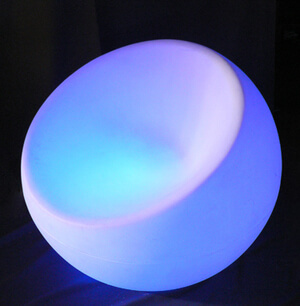 Remember, LED furniture works best with subdued lighting or nighttime. 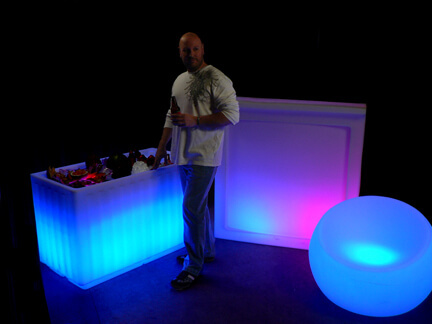 LED furniture is popular all year round and especially during the wedding season and holidays! Do not be disappointed-- reserve early! Come to our showroom to view the furniture first hand! Make sure you call ahead to make an appointment so we may be able to serve you properly and to make sure we have the items you are looking for in stock at the time.